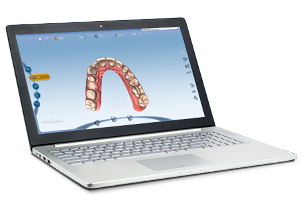 The future of Dentistry is Digital! At Reddy Family Dental, you will see that technology is a big part of our office. We use computers to track your appointments, communicate with you, record and update treatment details and maintain insurance records. 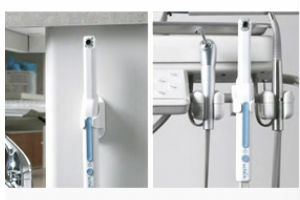 We also use them to capture, store and transmit your dental x-rays and intra-oral images. Digital x-rays significantly lower exposure to radiation. 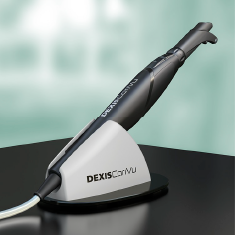 Digital x-rays:We use cutting edge digital sensors to process your x-rays. They produce outstanding, easy to read images in far less time than conventional film. Best of all, digital x-rays significantly lower exposure to radiation. At Reddy Family Dental, our entire office is now digital with the use of computers for patient charting. Apart from the many benefits to our staff, the most significant benefit of digital charting lies in its ability to educate patients during the case presentation. With better quality information using digital charting and the ability to store and access more information in one place, digitally networked dental practices have a significant edge with treatment planning. With all the components of a comprehensive oral examination needed for diagnosis within a mouse click, we can develop treatment plans with ease. Paper charting can be a time-consuming task for the dental team. Digital charting enables systematic layout of the treatment plan and saves valuable time for everyone. For your comfort, we use the latest Schick intraoral camera to produce a picture with exceptional detail and quality of the mouth. The intraoral camera is a very beneficial tool to aid us in improving your oral health. Ask us for a demonstration at your next visit! The camera has autofocus and advanced intuitive lighting system which require no manual adjustments. It integrates with our dental software so that we can store and share pictures with specialists or insurance companies, as needed. Questions on dental x-rays? Call us at (978) 772 9295 and our professional staff are available to assist you. A panoramic x-ray (usually called a pano or panorex) is a two dimensional x-ray image that captures the entire mouth in a single image and includes teeth, upper and lower jaws, tissues and surrounding structures. 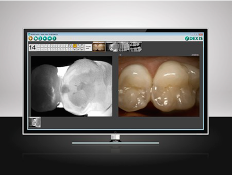 Panoramic x-rays are a crucial tool in dental diagnosis as it covers a wide area than a conventional intraoral x-ray. 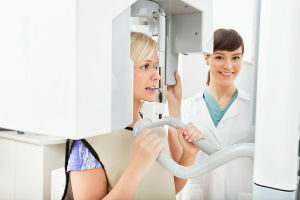 A panoramic x-ray exam is painless, fast and easy. A Panorex provides valuable information about the nasal area, maxillary sinuses, tooth positioning and gum and bone irregularities. This examination is also used to plan treatment for full and partial dentures, braces, extractions and implants. Zoom Whitening is clinically proven to whiten teeth with great results and efficacy up to eight shades in 45 minutes leveraging LED technology. Philips Zoom WhiteSpeed is an In-Office procedure for whitening discolored teeth. A bright sparkling smile can make a difference in your lives and motivate you to take better care of your teeth. Zoom WhiteSpeed whitens teeth up to 8 shades in less than an hour. With adjustable settings of low, medium and high, WhiteSpeed’s customizable intensity settings help ensure each patient receives a comfortable, positive whitening experience catered to you. In fact, 99% of consumers experienced little to no sensitivity with Zoom WhiteSpeed. E4D system eliminates the need to wear a temporary for weeks and come back for another appointment. We use cutting edge digital sensors to process your x-rays. They produce outstanding, easy to read images in far less time than conventional film. Best of all, digital x-rays significantly lower exposure to radiation. 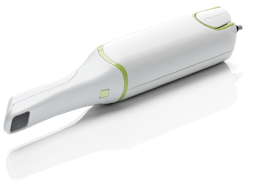 CariVu uses patented trans-illumination technology to identify caries (cavities) and cracks on the surface of your teeth, as well as in the hard-to-see areas between your teeth. Using safe, near infrared light, CariVu allows your doctor an almost transparent view of your teeth in order to see structural anomalies and carious lesions. The images look like traditional X-rays and provide similar diagnostic information, but CariVu does so without the use of radiation, making it ideal for children, pregnant women, and those unwilling or unable to undergo a traditional dental X-ray. Using safe, near infrared light, CariVu allows your doctor an almost transparent view of your teeth in order to see structural anomalies and carious lesions. Daily challenges of creating homeostasis, taking impressions, working around implants, and so much more are made easy with innovative laser technology providing with an easier, faster, and better solution for unmatched patient care. Lasers are the most precise, least traumatic, and will heal with less post-operative pain than any other technique. There is less chance of infection, and some soft tissue procedures around the gingiva can be completed without anesthesia. How has laser dentistry affected patient care? 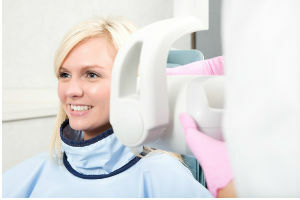 Laser Dentistry has created a new level of quality dental care. The ability to perform more procedures in less time without sacrificing patient care and comfort are an important advantage over other technologies. Lasers can be used near metal crowns, on patients with pacemakers, braces, on teeth with metal amalgams, and in procedures near bone with no contraindications. 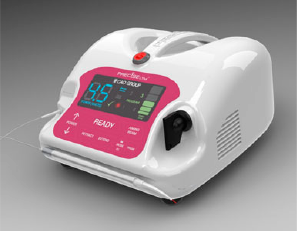 Patients report that laser treatments are gentle in comparison with an electrosurge and is substantially less invasive therefore generates less bleeding during the procedure. Lasers are predictable, PRECISE with little or no recession, swelling, necrosis, quicker healing, and reduce the need for sutures. 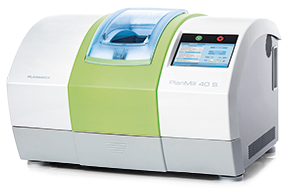 What procedures can be used with the Precise LTM?